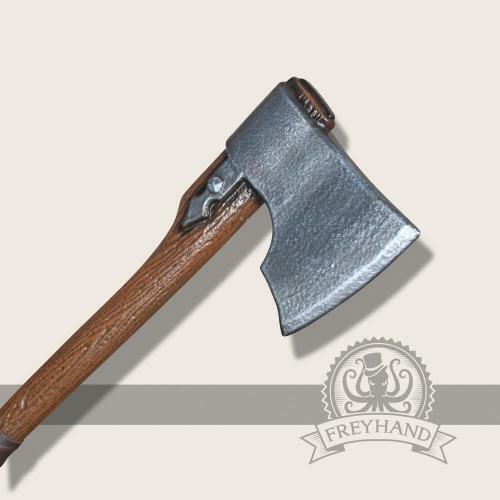 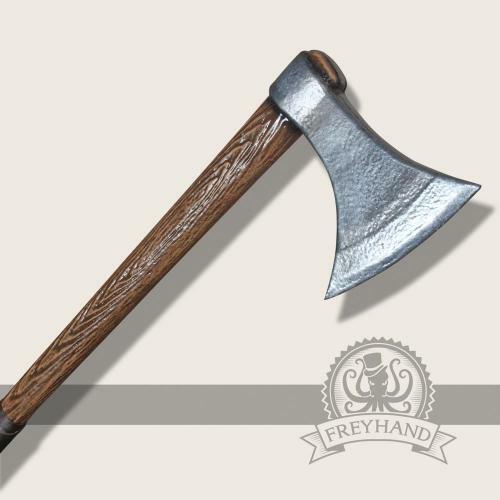 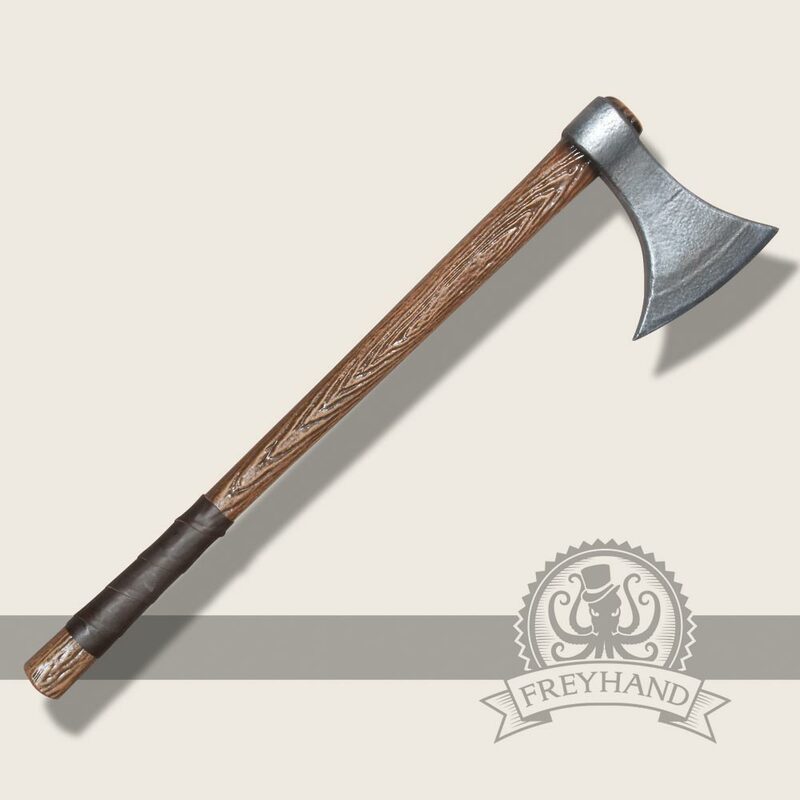 A simple, short axe that was built according to historic antetypes from the viking age and the early middle ages. 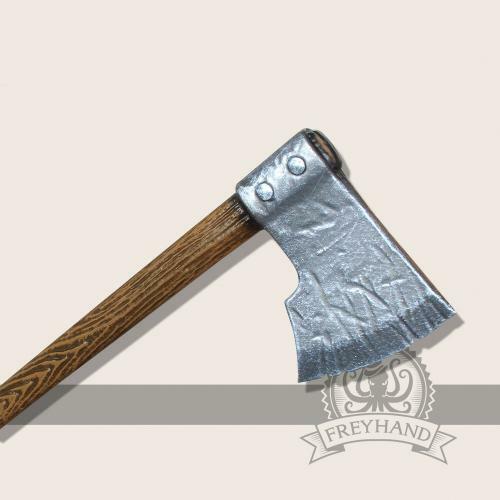 It can well be carried as a second or side weapon at the belt or be used as a main weapon in combination with a shield. 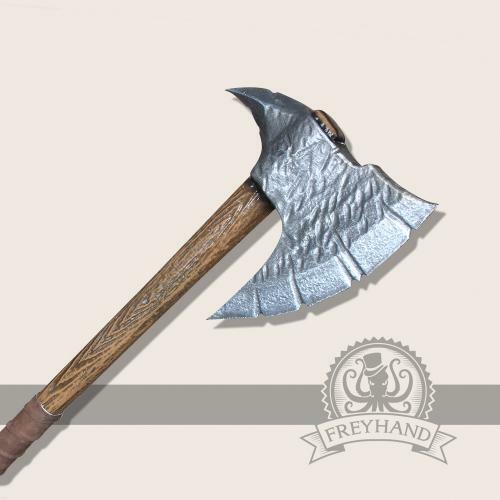 It suits best for nordic or historic characters in fantasy LARP.